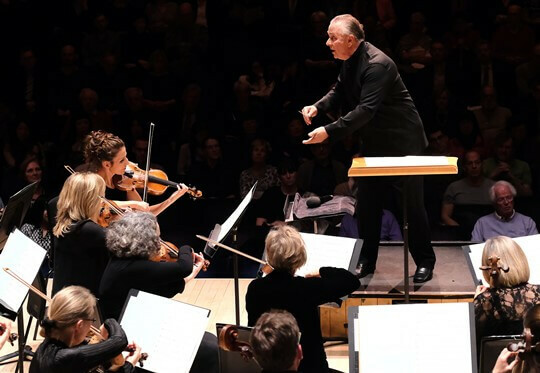 Sir Mark Elder conducts Brahms’s radiant and bucolic 2nd symphony, in the second year of an acclaimed four-year symphony cycle. The cycle borrows from the spirit of early performances of the works by performing them with the musical forces that Brahms intended, to ‘exhilarating’ effect (The Times). The concert also traces a poetic line from Brahms’s symphonic Romanticism to more intimate evocations of poetry, love and nature in Mahler’s emotionally charged Songs for a Wayfarer, and Britten’s Suite on English Folk Tunes, the composer’s last completed orchestral work. Students can get tickets for £6 via the box offices, and in London via the Student Pulse app here. Sir Mark Elder discusses tonight’s programme with Dr Kate Kennedy in this pre-concert talk. Sir Mark Elder discusses tonight’s programme with Roger Rowe in this pre-concert talk. In our latest podcast Sir Mark Elder talks to Ben Eshmade ahead of the start of the orchestra’s Brahms Symphony Cycle which begins in November 2017. Britten Sinfonia is delighted to announce its 2018-19 season in Norwich, with tickets going on sale from Thursday 12 July 2018. Britten Sinnfonia’s 2018-19 season in Norwich is now on sale. We will be performing three evening concerts bringing some of the finest guest artists to the city: The Last Letter A compelling and dramatic evening of music and words to commemorate the end of the First World War featuring a new arrangement of Nico Muhly’s poignant The Last Letter and featuring baritone Jonathan McGovern. Britten Sinfonia is thrilled to announce its 2018-19 Saffron Hall season which offers a world-class line-up of musicians, conductors and composers, with programmes drawing intriguing connections across of a wide array of music.